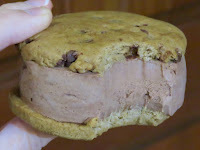 Welcome to Day #4 of Cookies with Chocolate Theme Week. 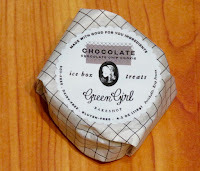 Today's frozen Chocolate Chocolate Chip ice cream and cookie treat was from Green Girl Bakeshop (San Leandro, CA). 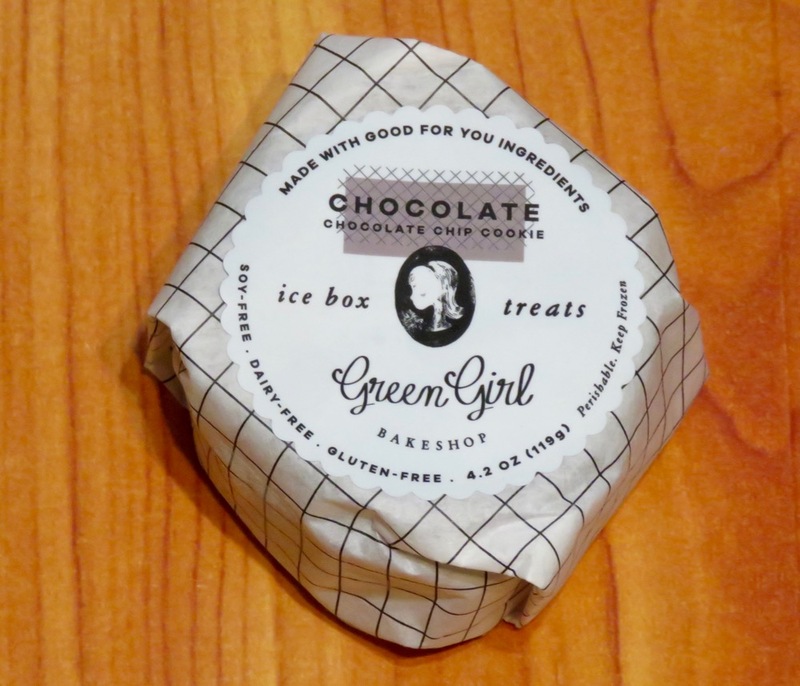 A generous layer of chocolate, dairy-free (coconut milk) "ice cream" was sandwiched between two, gluten-free, soy-free chocolate chip cookies.